This six-night trip takes us to the heart of the Himalayan kingdom of Bhutan. From the gravity-defying Tiger’s Nest Monastery to the Temple of the Divine Madman, this trip combines spectacular drives, unique nature walks and fascinating monastery visits. 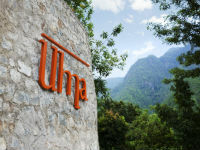 You spend four nights at COMO Uma Paro and two nights at COMO Uma Punakha. Your journey deep into the kingdom’s heartland explores three important but distinctly different valleys: The Laya Valley (also known as the hidden paradise), the tropical Punakha Valley with its magnificent Dzongs, and the emerald Paro Valley, with rice paddies and ancient temples. Throughout our adventure we return each night to the luxury and comfort of our COMO Uma Bhutan lodges. Upon arrival at the airport you will be greeted by staff from COMO Uma Paro before embarking on the 10-minute transfer to the property. 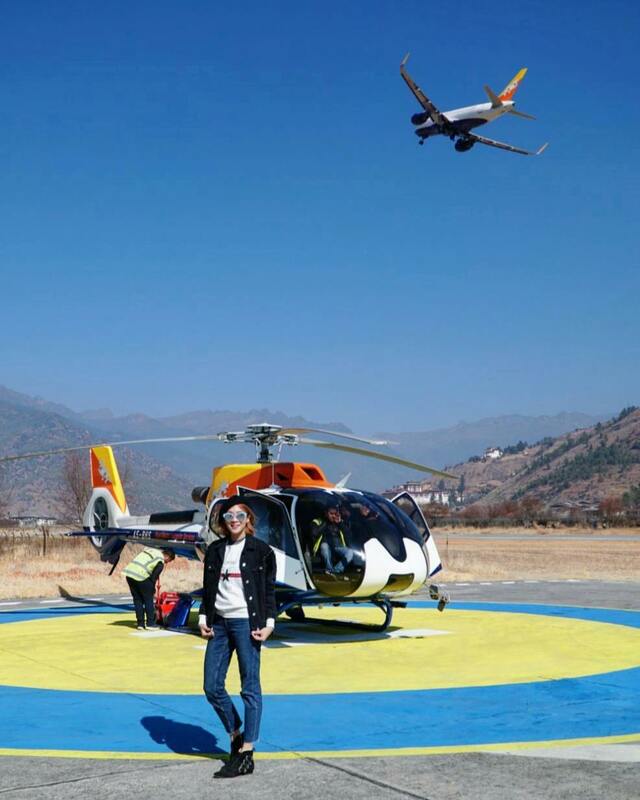 After checking in and spending some time settling into your new surroundings, we will take you on your first foray into the Himalayan kingdom, with sightseeing in Paro town and a temple visit. This afternoon trip allows you to acclimatize to the rarefied air at this altitude, as well as the chance to get to know your personal guide. Today you will walk through pine forests high above COMO Uma Paro to the pretty grounds of the fortress like monastery of Zurig Dzong. Traverse across to Ta Dzong, home to Bhutan’s National Museum and with magnificent views over Paro, and on down to Rinpung Dzong (Fortress on a Heap of Jewels). The trail then leads across Paro Chhu river via the traditional covered bridge Nyamai Zam, and then past the main archery ground, Ugyen Pelri Palace, and into Paro town. Driving a few kilometres north of Paro, you can pay your respects at Kyichu Lhakhang, one of the oldest temples in Bhutan with its magical orange tree that bears fruit all year round. Time permitting, the group can drive further up the valley to Drukgyel Dzong, built in 1648 by Zhabdrung Ngawang Namgyal to control the northern route to Tibet. 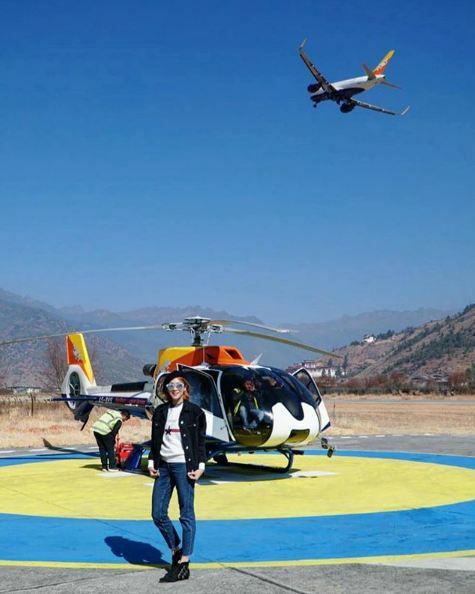 We will fly you to our sister lodge in Punakha across the scenic Laya village (3,800m). The Layaps people call their home ‘Beyul’, which is a Buddhist word for a hidden paradise. They believe that they are protected by an ancient gate leading to the main village, used by their guardian deities to keep a Tibetan invasion at bay. At an annual ceremony, the Layaps pay homage to the protective forces, who turned all the stones and trees around the gate into soldiers to repel the invaders. From the west of the village you can view the mountains of Gangchen Tag (6,784m), Tshendag Gang (6,994m) and Khang Bum (6,494m), and also catch a glimpse of Masa Gang (7,194m). You can also visit a Laya temple and try yak riding before a picnic. Your vehicle will be waiting at Zomlingthang. Punakha to transfer you by road to our sister lodge, COMO Uma Punakha, which is a 20-minute journey. 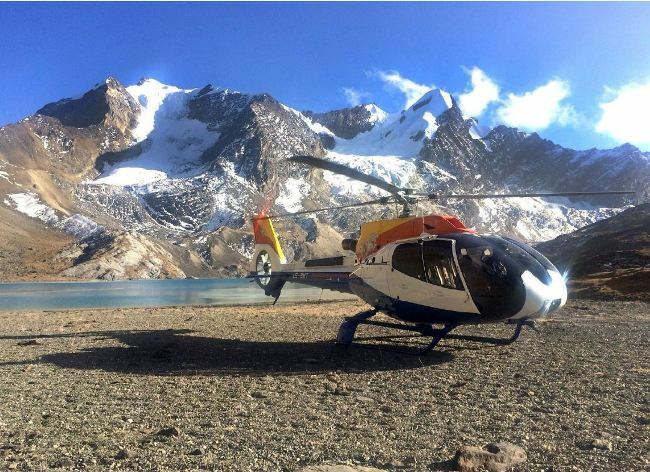 Note: Royal Bhutan Helicopter Services Ltd is subject to availability and reserves the right to cancel or change flight route subject to weather conditions. This is a full day of exploration through the lush Punakha Valley, which at 1,200m is low enough for bananas and oranges to grow. The morning starts with a short walk across farmhouses and rice paddies to reach Chimmi Lhakhang, a 15th-century fertility temple dedicated to Drukpa Kuenley, a Tibetan Buddhist saint, perhaps better known as the ‘Divine Madman’. This site has long been a pilgrimage for couples hoping to start a family. Heading further down the valley, the 300-year-old Punakha Dzong comes into view. Built in the 17th century by Zhabdrung Ngawang Namgyal (who founded the Kingdom of Bhutan) the fortress once housed the country’s government. It is now the winter home of Je Khenpo, the head abbot of Bhutan, along with a retinue of 1,000 monks. 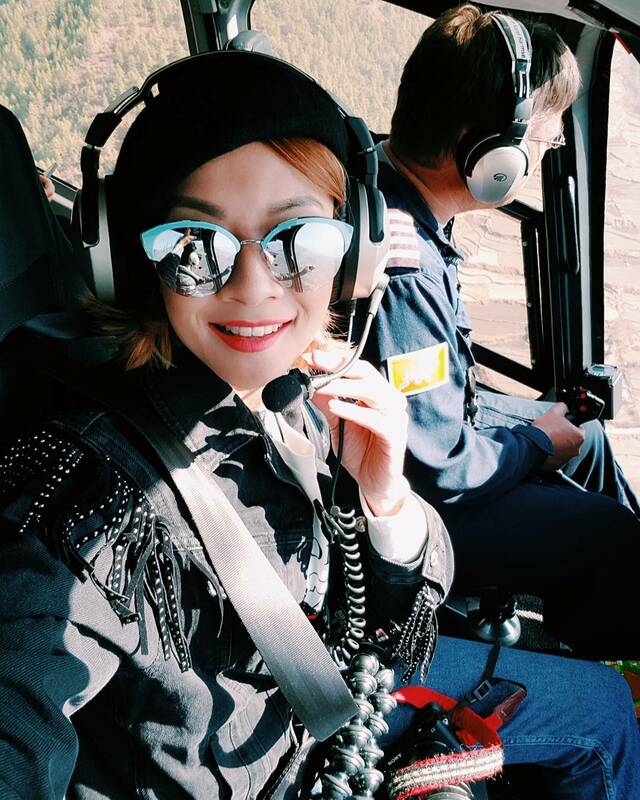 In the morning you will be flown from Zomlingthang in Punakha to Paro Valley, offering an aerial view of Punakha Valley and Punakha Dzong. Before turning to Thimphu Valley — now clearly visible from its northern approach — you will see Dochula pass, a road pass snaking up through the breathtaking alpine mountains. The clear views of the Himalayas stretch before you, including the wonder of Mount Jhomolhari which rises up to 7314m. This magnificent mountain peak marks the western border of Bhutan, with China beyond. Climbing even higher in the rugged Himalayas (around the height of the permanent snow line) an amazing turquoise lake appears amongst these uncharted peaks. Yak herder camps also visible below. 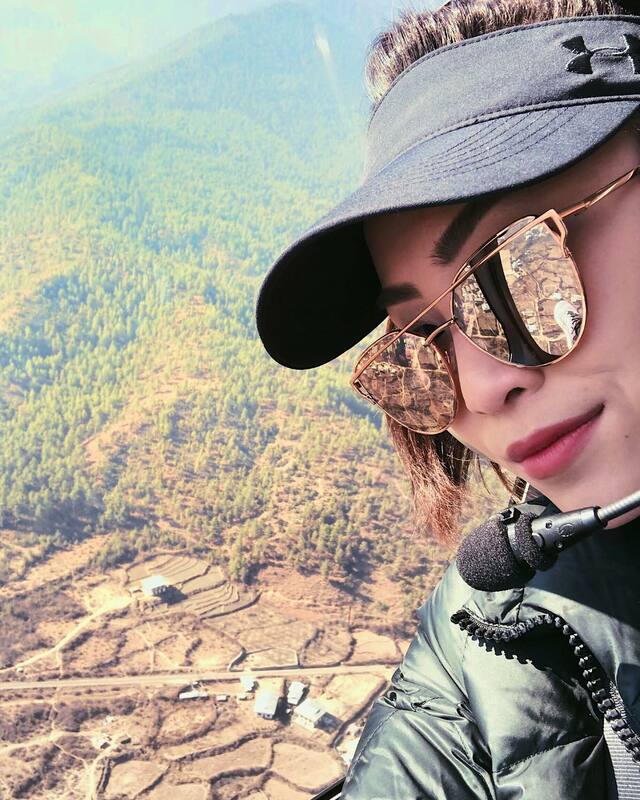 As you slowly descend back to the Paro Valley, you are greeted with aerial views of the ancient Drukgyel Dzong and of the iconic Tigers Nest Monastery, which suddenly appears from behind its western ridge. 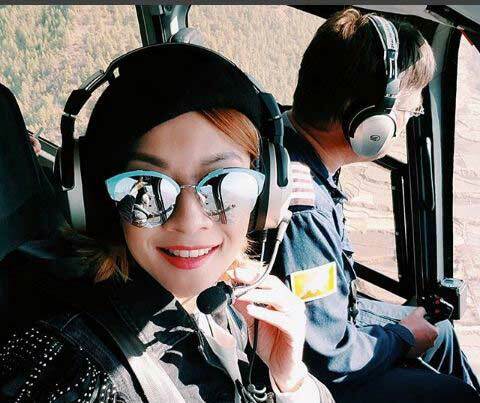 Your vehicle will be waiting for you at the Paro International Airport to transfer you to COMO Uma Paro, a 10-minute drive. After you return to the hotel, you can spend the rest of the day relaxing in the calm setting — or try your hand at archery, Bhutan’s national sport. Tibet. The trip starts early in order to avoid the hot sun during the two-hour climb to the Tiger’s Nest viewpoint, a steep hike passing a waterfall and ending among beautiful murals at the monastery’s main entrance. If time allows, there is the possibility of heading further up to visit remote temples. After lunch – either a prepared picnic or from the charming Taktsang cafeteria – you return to COMO Uma Paro, where you can recharge on your final night, enjoying the steam rooms, gym and swimming pool or indulging in one of our signature COMO Shambhala treatments.